Toruk, the new show by Cirque du Soleil inspired in James Cameron's film Avatar, had its San Diego debut Wednesday November 23rd at theValley View Casino Center. This is really something new for the French-Canadian company and, something to be appreciated. A dramatic show in which in order to save the sacred tree of souls, 5 objects must be found. The plot is set millions of years before the one handled in Avatar. This is, before the humans arrival to Pandora. Three young adults from the Na'vi tribe, go on a quest to find these 5 objects that will lead them to the yellow and orange predator, Toruk in order to save their people. Cirque du Soleil leaves the acrobatics and circus type numbers in a secondary plane to focus on narrating the story. 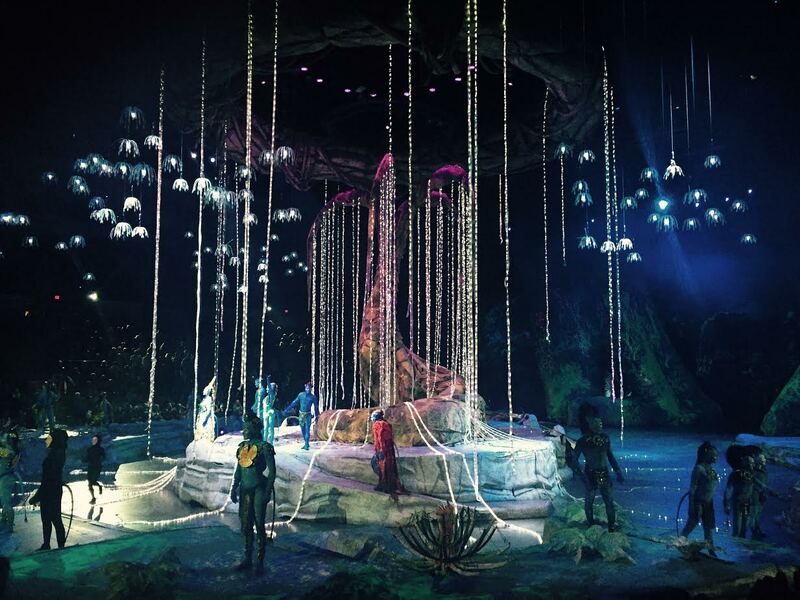 The audience gets to really be immersed in Pandora. With an amazing scenic design surrounded by mainstream protections and lighting by Alain Lortie. 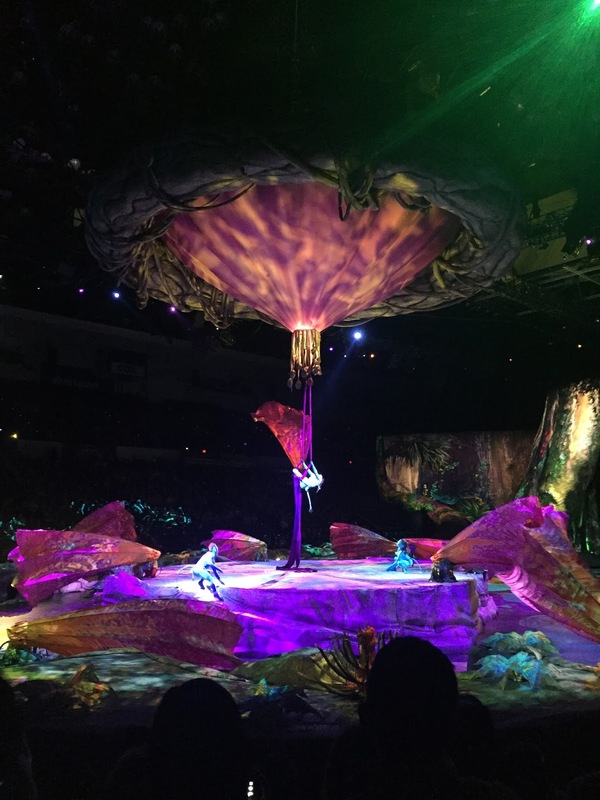 The characters speak the language Na'vi throughout the show and the narrator translates in times to English. Here is where -innovation- gets momentum. As well as having the characters move around the space, where audience members can see the make up and wardrobe in more detail, there is an app that can be downloaded. Once on your phone, the app serves as a guide explaining each artifact and area in the land. Ralu, Entu and Tsyal can be rooted on as they search for the 5 precious items. 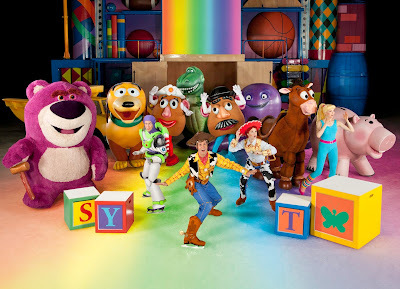 The phones start flashing different colors and effects, making these actions part of the show on and off stage. Totally cool and well thought. Sometimes distracting...but it all becomes part of the show. Even though Toruk has less circus type activity than other Cirque du Soleil shows, it is worth checking out just because of all these new elements brought and the type of piece they are venturing in. A very respectable and creative exercise. 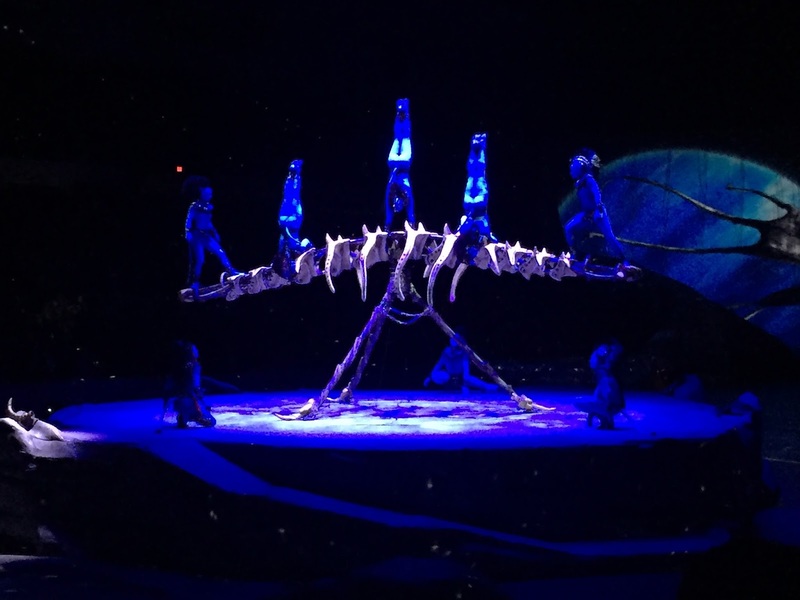 Toruk-The First Flight will be in San Diego Until Sunday November 27th, with two shows everyday. Ticket prices start at 30 dollars plus handling fees. To purchase tickets please click here.